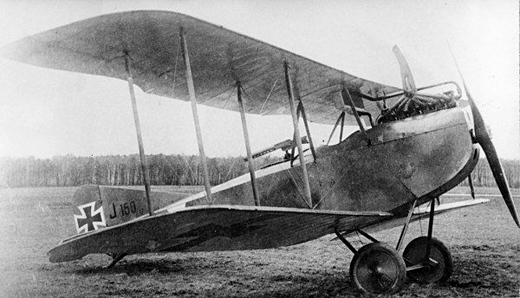 The AEG J.I was a German biplane ground attack aircraft of 1917, an armored and more powerful version of the AEG C.IV reconnaissance aircraft. Structurally similar to the J.I the J.II introduced ailerons aerodynamically balanced by large horn extensions at the wing-tips, increased fin area to improve directional stability and a re-located aileron link strut. AEG J.I featured armour protection for the pilot and for the more powerful engine that was fitted to the heavier aircraft. Two 7.92 mm (.312 in) LMG 08/15 machine guns were fitted to the floor of the observer’s cockpit for ground targets. One 7.92 mm (.312 in) Parabellum MG14 machine gun was provided in the typical rear-facing defensive position. Finally, armour plating was added around the engine and cockpits. Aircraft fitted with ailerons on the lower wing as well as the upper wing were designated AEG J.Ia. 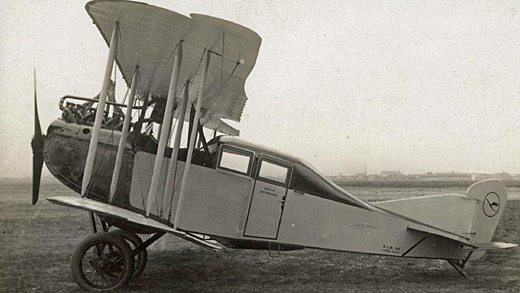 An improved version of the J.I was developed as the AEG J.II, which had aerodynamically balanced ailerons with overhanging horn balances, extended rear fuselage with a larger fin to improve directional stability and a re-located aileron link strut. 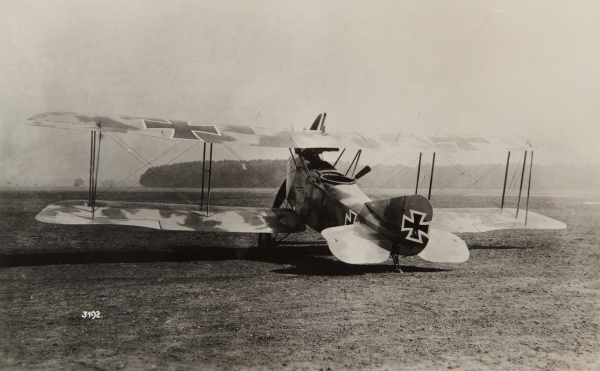 After the war, several J.IIs served the first sustained daily passenger aeroplane service in the world, between Berlin and Weimar, flown by Deutsche Luft-Reederei. This route began on 5 February 1919. Early commercial J.II’s retained open cockpits, but modified versions with enclosed cabins for the two passengers quickly replaced them. An armoured version of the AEG C.IV fitted with downward pointing machine guns in the floor of the rear cockpit for ground strafing and a defensive hand-aimed machine-gun in the observers cockpit. The J.Ia version featured aileron controls on the lower wings, in addition to the upper.